The latest news, events and client highlights from the WindsorEssex Small Business Centre. 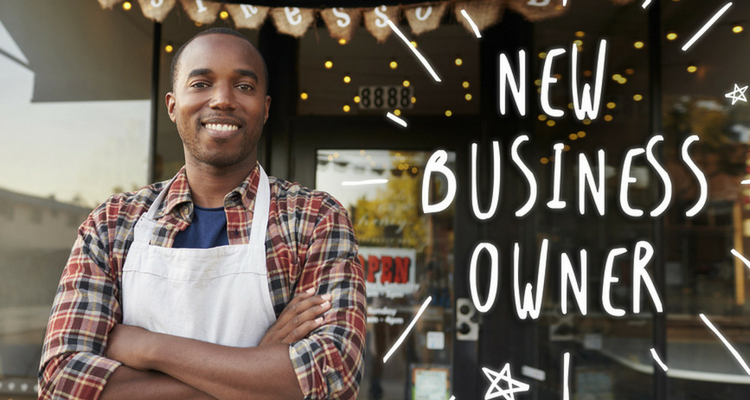 WindsorEssex Small Business Centre is your one-stop source for information, training and professional advice on starting and operating a business. highlights clients and entrepreneurs that have recently opened their business. If you have started or expanded your small business recently (less than 6 months ago), or have moved your home-based business to a storefront, let us share the news with our audience of 4,000+ people! Email SBC for more information. Ryan and Colleen Jershy are committed to "making living independently a little bit easier for senior citizens" in Windsor-Essex. Located at 3353 Walker Road in Windsor, Courtesy Med Services offers its clients the ability to customize their at home delivery needs and have weekly visits by knowledgeable staff. Their custom service packages include delivery of groceries, assistance with ordering groceries, home safety checks (including in-home medication review with a pharmacist) and home resource management. Visit their website at courtesymedservices.com for a more detailed list of services offered. For more information please call 519-997-2449 or email christa@courtesymedservices.com. Interested in launching or expanding your small business? Click here to see if you qualify for the Starter Company Plus grant program. from a rich heritage of global culinary arts. As the owner and creator of Exquisite Events Windsor, Howard takes great pride in offering the quintessential culinary experience for his clients. Howard's experience includes 35 years' of culinary success from opening of Red Lobster restaurants across Canada, as well as overseeing restaurants at Caesars Windsor and contributing to its expansion through 20 years' of service. Exquisite Events Windsor offers first class culinary service for high tea engagements, fundraisers, corporate events, private soirees and elevated family gatherings. Howard's goal is "to offer exquisite tasting cuisine and deliver impeccable, professional service." Bring your event to the next level and call 226-345-5595 or email celebrate@exquisiteeventswindsor.com. Popular in Pakistan and India, the beverage gets its hue without the use of colouring. With the youngest of her three children in school, Kanwal Tauseef was set to return to work as a graphic designer. But a decision to sell a popular Kashmiri-style beverage to the public in July changed everything. If you love to work with yarn, would love to work better with yarn, or want to try loving to work with yarn, Little Sheep Yarn Boutique is the place to go. The boutique is a newer face to the Ottawa Street area, with co-owners Andrea Adam and Kate Rosser-Davies having opened up in early August of this year. Their meeting was nearly meant to be, with the growing business also making a fast-growing friendship as well as business partnership between the two. Whether you are looking for some new stylish clothes or out to make some custom pieces, Merch Runners has got something for you. Merch Runners, now in its fifth year of business, is a unique Ford City business that offers a one-of-a-kind shopping experience. Co-owners of the business Joe Morneau, Shane Wright and Jeff Howell have all been enjoying the time at their location in Ford City, a move from their previous Pillette and Tecumseh location a year and a half ago. Windsor-based Ani & Fabi, Canada's first baking kit subscription company, is the winner in the "Outstanding New Business" category at the 2018 Biz X Awards. The company operates as a meal kit service for desserts and promotes "the activity of family and friend bonding over baking together." It boasts of "baking activity kept simple, convenient and fun, while delivering high-quality ingredients in the correct proportions to eliminate food waste." Two dozen winners in a broad range of categories - honouring local businesses, professionals and individuals - were announced at the 21st annual Biz X Awards Gala held Friday night at the St. Clair Centre for the Arts. Understanding your finances while building your start-up can be overwhelming. Books are often out-of-date or inaccurate. Worries about running out of cash can keep you up at night. But learning about your finances isn't as hard as you might think. Most of all, it can save you money and help you make better business decisions. "Many entrepreneurs don't feel comfortable with financial numbers," says Alexandre Leclerc, a senior account manager at BDC who works with technology businesses. "But ignoring the books makes you vulnerable to cash emergencies. You may not realize that you're in a deficit until it's too late." Your financial statements contain early warning sign about the financial health of your business. Here are three key financial documents you need to understand to ensure the sustainability of your start-up . On November 13, the Small Business Centre hosted Surviving and Thriving When Selling to Retailers, presented by Peter Chapman, SKU Food, Halifax. Windsor-Essex food industry businesses who have their products on the shelf in retail learned about what they need to do to sell to retailers and create a plan to generate successful sales in retail. This full-day session delved into three key topics for suppliers who want to survive and thrive selling to retailers: Understanding the retailer as a customer; Focus on the numbers; Building a sales plan. On November 21, the WindsorEssex Small Business Centre hosted Business Structure and Taxes, presented by Ilias Kiritsis, LL.B., J.D., Mousseau DeLuca McPherson Prince LLP Barristers and Solicitors and George John, CPA, CA, Senior Client Service Manager, Roth Mosey & Partners. Small business owners discussed the differences between business structure and the taxable income, obligations, liability and costs associated with each. On November 23 and 24 our most recent cohort of Starter Company Plus grant applicants attended the Starter Company Plus workshops. These workshops provided two full days of business training including business plan development, marketing and sales, financial management, business and people management and presentation skills. Stay tuned to our Starter Company Plus web page for information on the 2019 program and workshops. Advance, online registration required for all events. Please check our calendar for more upcoming events. The first segment of the presentation will address hiring individuals with disabilities and the resources provided by the Discover Ability Network (DAN). Persons with disabilities represent a large untapped talent pool. Many are highly skilled, educated, and want to contribute to the economy. Many employers are aware of the benefits of diverse hiring, but do not know where to find qualified candidates who have a disability. The Discover Ability Network is here to connect them for free. This interactive session will be moderated by Dr. Janice Forsyth, Interim President and CEO of the Windsor Essex Regional Chamber of Commerce with speakers Louie DiPalma, Vice President, SME Programs at the Ontario Chamber of Commerce and Kevin McShan, Regional Spokesperson for the Discover Ability Network (DAN) . In the second segment of the presentation, Jeffrey Patterson from the law firm of Kavanaugh, Milloy will discuss employment law in Ontario. In late 2017, the Government of Ontario passed the Fair Workplaces, Better Jobs Act, 2017 which has been commonly referred to as Bill 148. Bill 148 made some of the most significant changes to Ontario's employment laws in over a decade and a half. It changed how businesses in this province keep their records, schedule and pay their employees, and administer various benefits. The Making Ontario Open for Business Act, 2018 (Bill 47) has recently been implemented by the current provincial government. Bill 47 repeals or rewrites numerous provisions of the previous government's Fair Workplaces, Better Jobs Act, 2017 ("Bill 148"). During this presentation, you will learn about the most current changes made to Ontario's employment laws and how to navigate these new changes. FREE small business training & workshops. Don't wait! Start working with an advisor today. Learn more . STAY TUNED FOR INFORMATION ON THE 2019 STARTER COMPANY PROGRAM. T he Small Business Centre also holds similar workshops throughout the year. Keep an eye on our newsletter, social media, and calendar for upcoming events. You will receive a FREE Start-up Package and step-by-step guidance. Multiple Businesses Create One Big Party! Celebrate the season with your colleagues at Caesars Windsor for a cost effective price. Advance pricing for companies with two or two hundred, register early and save! Tables of 8 or 10 available. assigned seats. As an added bonus for our guests: consider staying overnight as Caesars has secured a block of rooms at an $80/night savings! Windsor Crossing Premium Outlets is offering much more than incredible deals this holiday season! This indoor market will include wonderful vendors, family fun, unique gifts, amazing food and pictures with Santa. Please click here for further event details. 3 semi-finalists will present their ideas to a panel of judges. This "Drangon's Den" style event is open to the public. Please come out and support our contest participants. The winner will receive up to $1,000 per month in rent for 1 year toward a commercial space in Harrow Centre. 4072 Walker Rd., Windsor - $14.00/sq ft.
120 - 5844 Malden Rd., LaSalle - $15.00/sq ft. Since 1992, the Small Business Centre (SBC) has provided thousands of entrepreneurs with the training and support necessary to start and grow successful businesses. SBC is a one-stop source - providing guidance and professional advice from concept, through start-up and early growth stages of business.